My body is ready for slime. 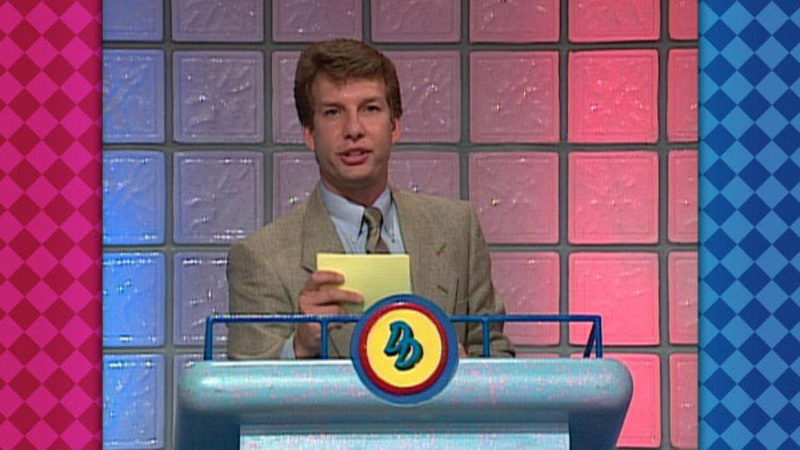 In case you missed it, Double Dare, aka the best '90s game show ever, is returning to Nickelodeon this summer with 40 new episodes. The new season premieres Monday, June 25 with new host Liza Koshy alongside original host Marc Summers, who will preside over the competition and offer commentary. And other returning '90s favorites include The Tank, Sundae Slide, Blue Plate Special, and The Wringer. We don't have pics of the new, reimagined challenges yet, but if they're anything like the originals, everyone's gonna be covered in slime and/or whipped cream. Standing between you and the flag is a giant "brick" wall (made out of styrofoam). Bust through the wall and grab the flag. Like digging through couch cushions to find the remote, you have to search a giant sofa to find the flag amongst lost keys, money, clothes, and other surprises. Fluff is spilling out of the giant raggedy bear. Pull out the fluff and find the flag inside. A long clear tube on a teeter-totter is filled with whipped cream, gak, and the flag you're looking for. As you walk through, the tube tips and wobbles. The other new obstacles are: Unboxing (you open a box within a box within a box, etc., until you reach the flag), Pop Lockin' (somewhere inside one of three school lockers is the hidden flag, but you to get through stinky clothes, junk, and, spoiled food to find it), and Blow Out (you crawl through a giant-rolled up party horn full of confetti with the flag waiting at the other end). These are still being built so we don't have pics, but I'm very afraid of Pop Lockin'. Get ready for the '90s to return on June 25!